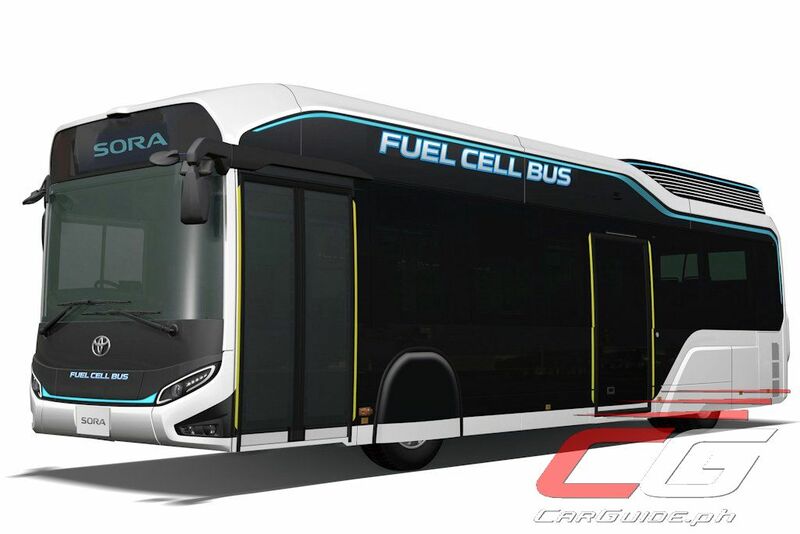 The Philippine government and commercial vehicle body builders should take a page from Toyota’s playbook when coming up with a modern public utility vehicle. Shown at the 45th Tokyo Motor Show 2017, are the JPN Taxi and Sora fuel cell bus—two vehicles which will forever change the landscape of metropolitan Japan’s mass transportation. 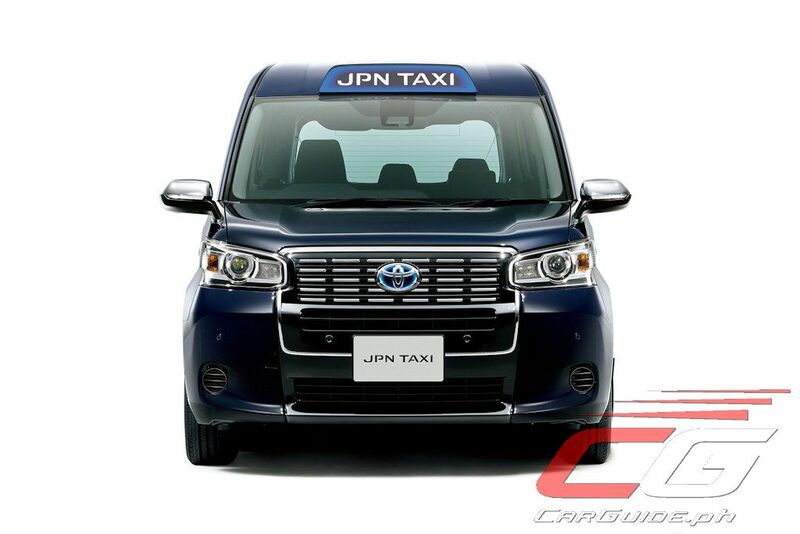 The JPN Taxi is a production vehicle which now goes on sale at Toyota’s Japan dealership network. 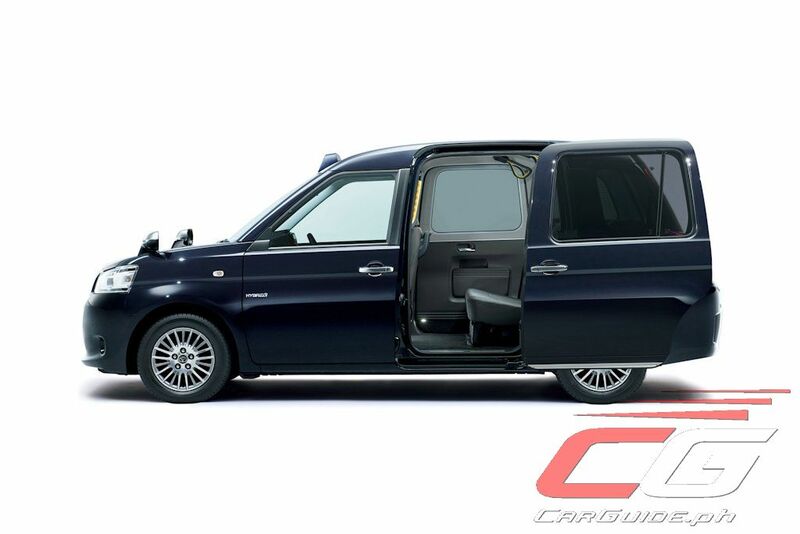 As the country hosts an ever-increasing number of tourists every year, the JPN Taxi is meant to cater to a wide range of people from children, seniors, and even wheelchair users. 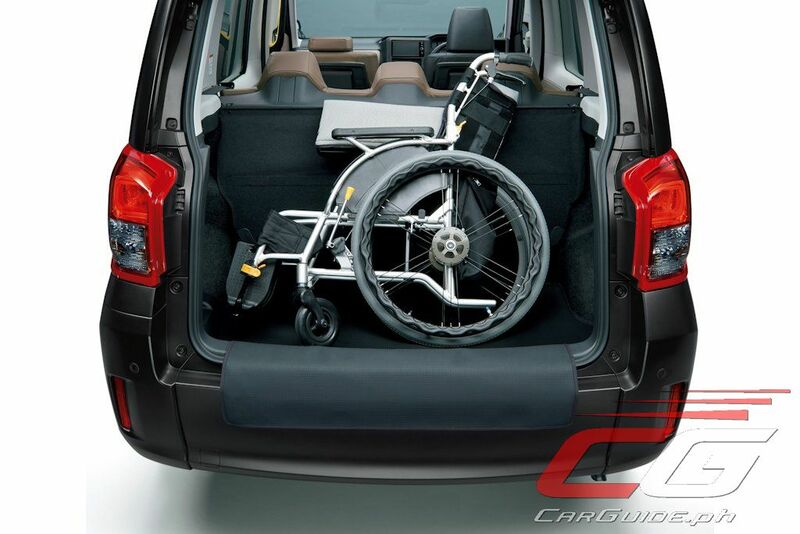 It has a function over form design with its low, flat floor and wide-opening power rear sliding doors which can accommodate even wheelchair users. Furthermore, it prioritizes all around visibility—the shape of the pillars and the use of fender mirrors show this attention to detail. 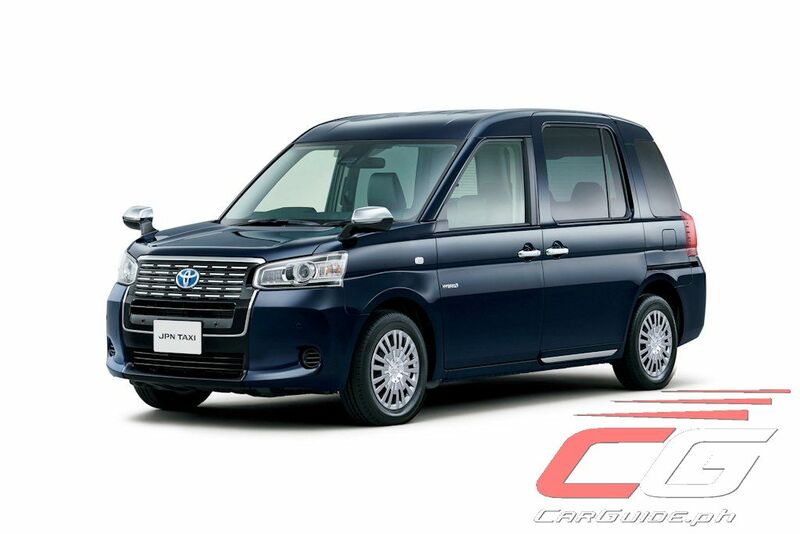 Still, Toyota has been careful to retain its classic Japanese taxi styling down to the use of horizontal lattice motif on the radiator grille and the deep indigo (koiai) body color. Keeping maintenance costs down, the JPN Taxi’s side portions of the front bumper and rear 3-part bumper are replaceable; so are the outer lenses of the headlights. In the engine bay, it uses a no-maintenance power water pump in the auxiliary belt system further reducing repair costs. 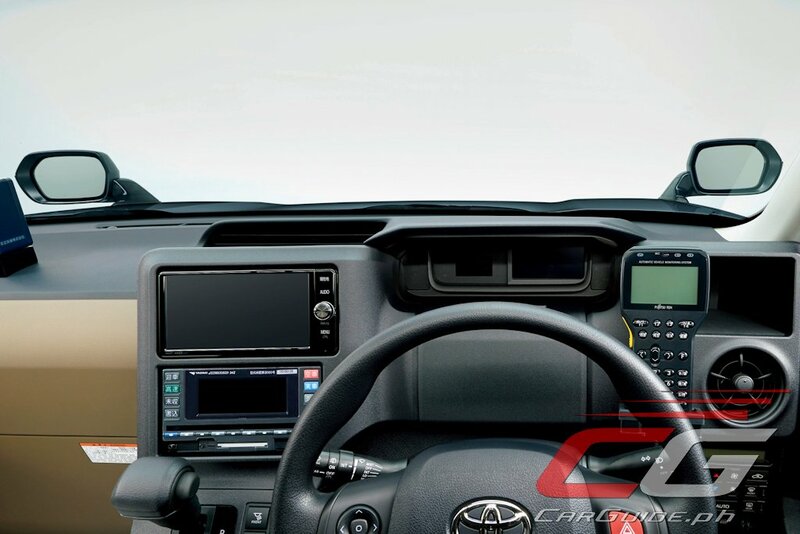 Inside, the JPN Taxi has positioned the dashboard instruments and other devices (including the GPS navigation system) to make it very easy for the driver to see and use. Furthermore, several grab handles are scattered around to take ingress and egress easy for passengers. 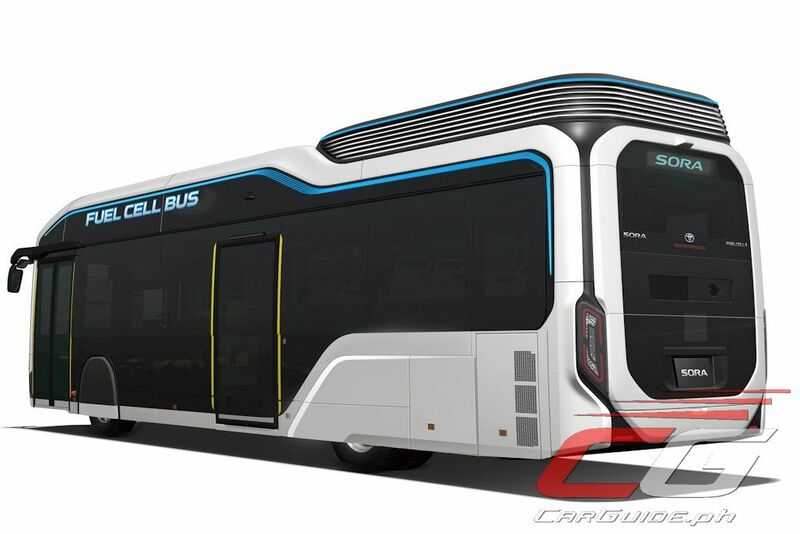 Maintaining maximum comfort for passengers, it has a dual air conditioning system with ceiling mounted vents, an available Nanoe air purifier system, and LED interior lighting. 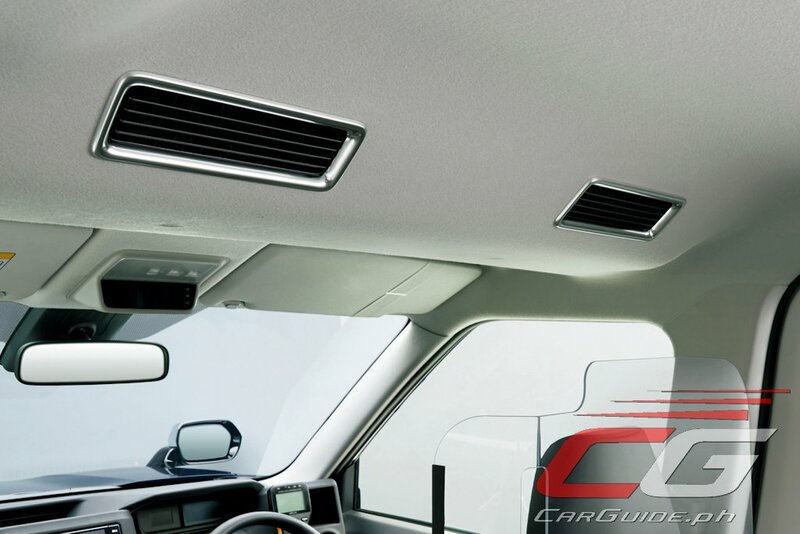 Comfort has been prioritized as well with thick sound absorbing glass and generous sound proofing scattered around. 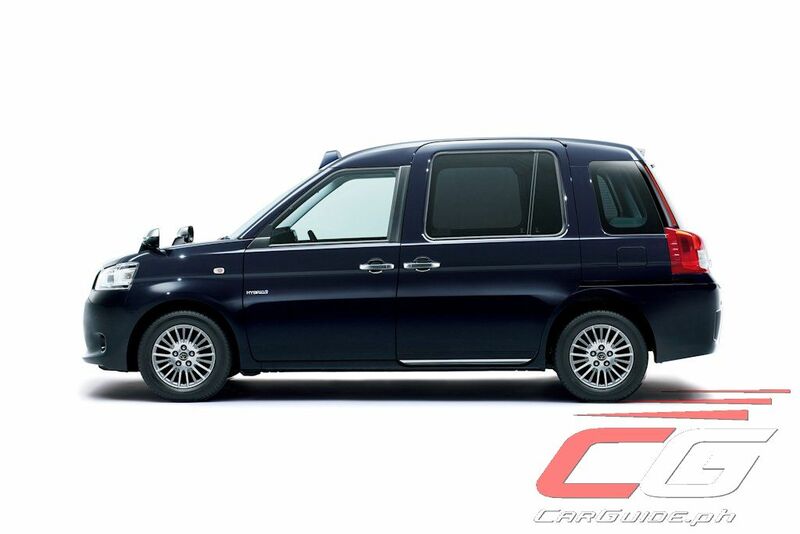 Finally, it has a 401-liter luggage space that can fit two large suitcases or 4 golf bags. 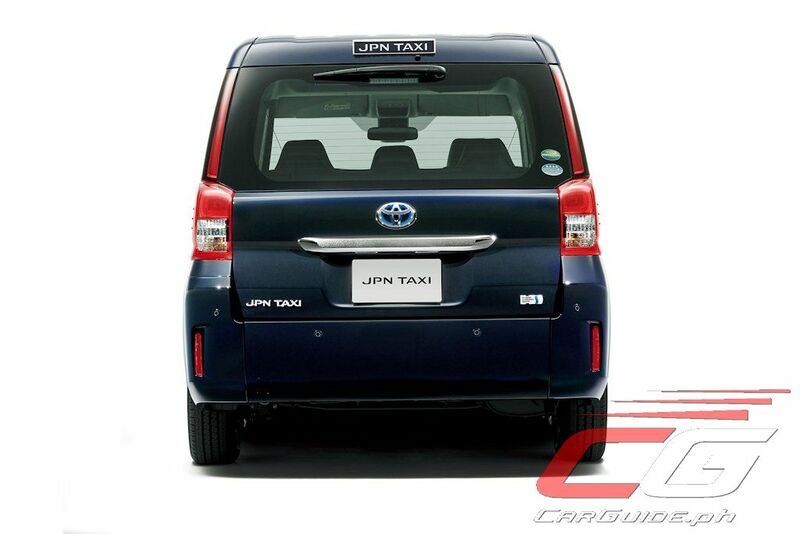 Powering the JPN Taxi is a next-generation 1.5-liter hybrid-LPG system (1NZ-FXP) delivering up to 19.4 km/L. Front MacPherson Struts and rear trailing link axle-type suspension has been specifically designed for durability. 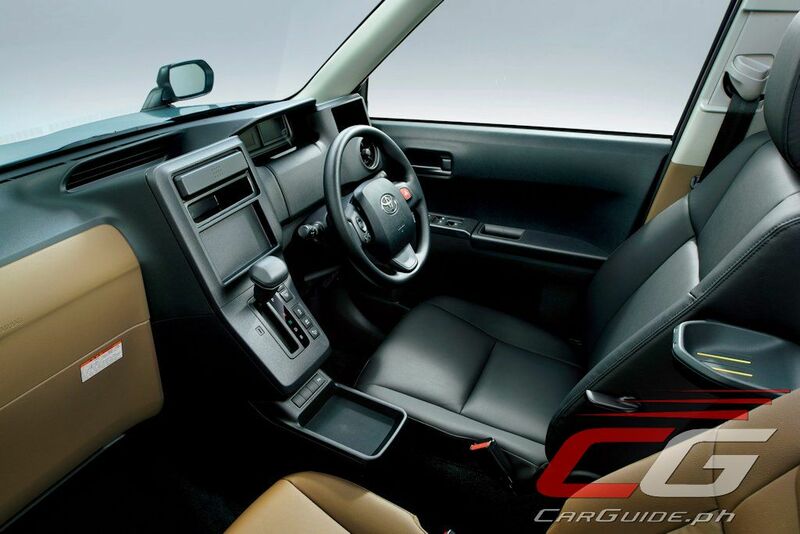 For passenger safety, the JPN Taxi comes with Toyota Safety Sense C (TSS-C), Toyota’s collision avoidance system. It also has Intelligent Clearance Sonar which detects obstacles around the vehicle and prevents rapid acceleration due to pedal misapplication. It also has 6 airbags. 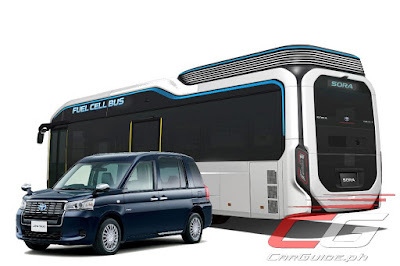 Next to the JPN Taxi, the Toyota Sora Bus Concept is set to become the backbone of Tokyo’s mass transportation requirements at the upcoming Tokyo 2020 Olympic games. Though a concept at this point, Toyota will soon roll out a production model based on the concept very soon. 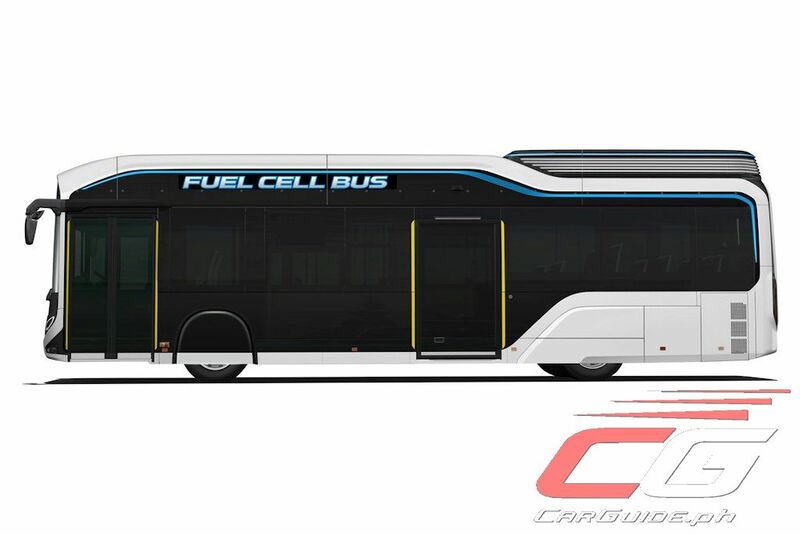 In fact, Toyota expects to roll out 100 of these fuel cell buses. 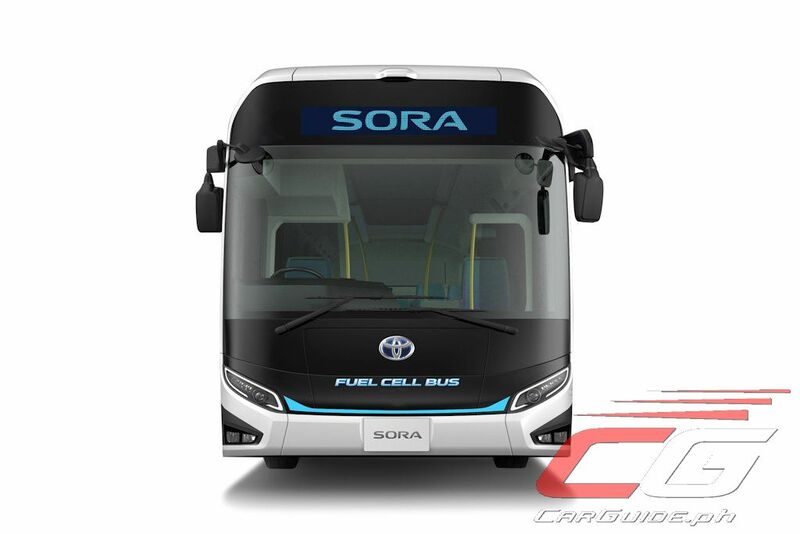 The Sora Bus seats 79 (22 seated, 56 standing + 1 driver) and uses fuel cell technology derived from the Mirai fuel cell vehicle. It uses twin AC synchronous motors delivering an output of 154 horsepower and 335 Nm of torque each. 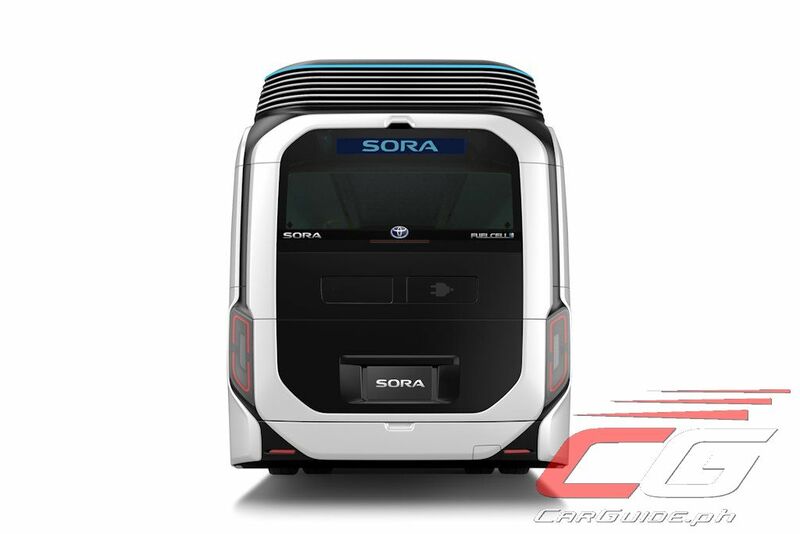 Apart from just emitting water as its exhaust, the Sora Bus has also been redesigned with the comfort and convenience of passengers in mind. 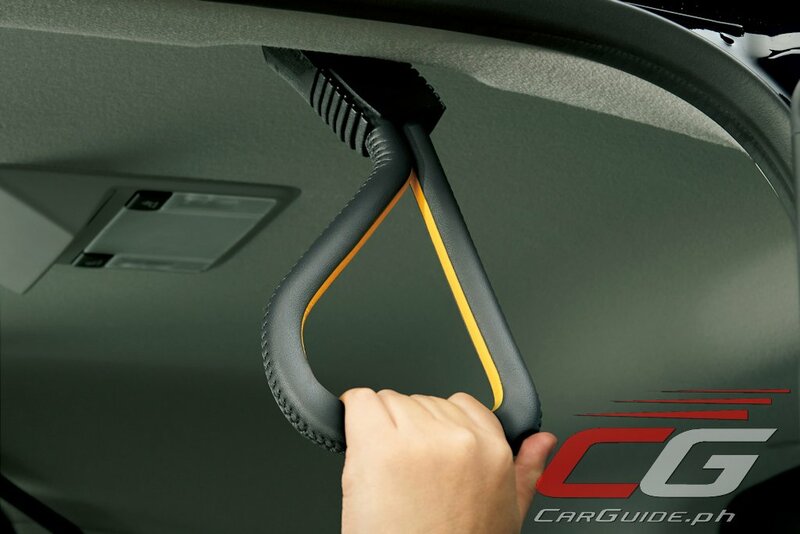 The powertrain has been designed to suppress sudden acceleration, enabling gradual acceleration from stops. 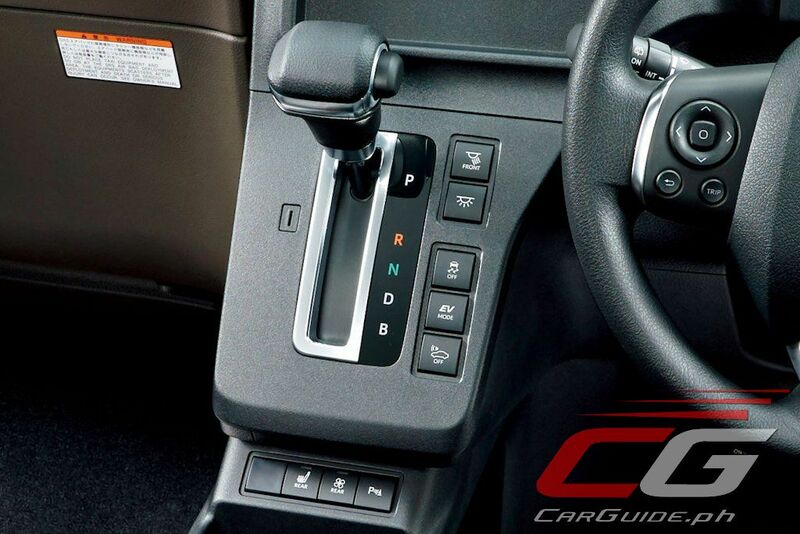 Toyota has also eliminated the “lurching” due to the lack of a need for gear shifting. 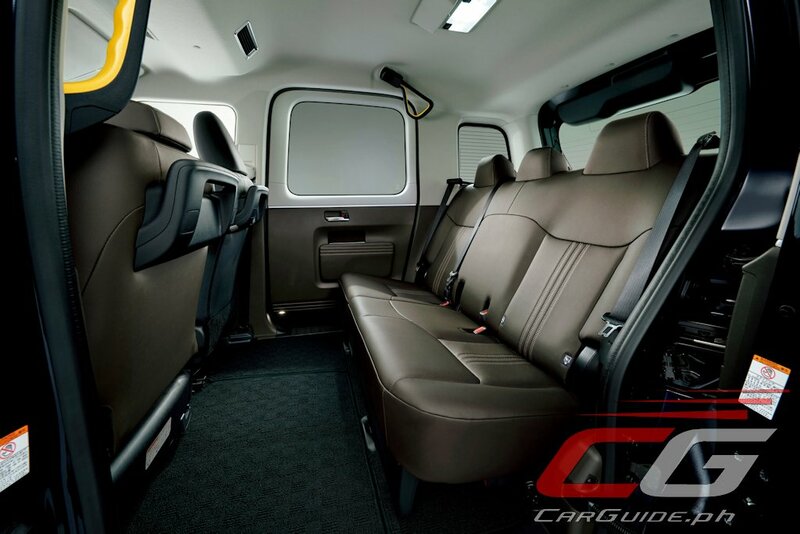 It’s equipped with horizontal seats with an automatic storage mechanism to provide for storage for wheelchairs or strollers. It also comes with 8 high-definition cameras around the bus not just to improve safety, but security as well. 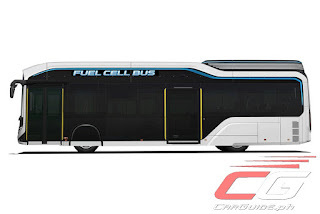 Toyota has even thought of improving boarding and exiting by using sensors to detect a guidance line on the road surface to guide the bus using automatic steering and deceleration. It can stop approximately 3 to 6 centimeters from the bus stop and within a range of 10 cm ahead of or behind the bus stop position. This tremendously improves the convenience for passengers using strollers or wheelchairs. Modernized Vehicles na dapat gamitin sa Metro Manila, Cabanatuan and Tarlac. Ang mga Buses ng Cabanatuan-Aliaga Routes halos lahat Colorum dahil hindi nila Mai-phase out ang mga Buses nila at hindi nagiisyu ng ticket katulad sa City Buses. Dapat Taxi na ang ginagamit sa Cabanatuan for Main Roads, Bawasan ang mga Tricycles dito sa Cabanatuan dahil sobrang mahal maningil ng pamasahe, ang minimum fare ng Tricycle 60 pesos kada tao. Dapat po sa LTFRB na ang mga Tricycle Franchises para makontrol nila.